Bret Hart, originally uploaded by johnwmacdonald. 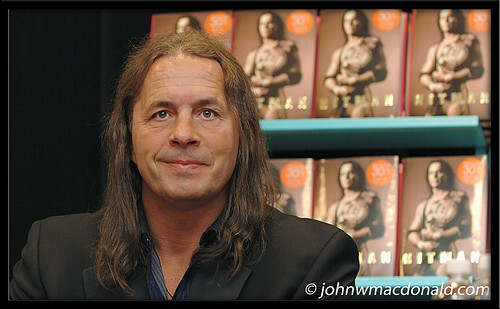 Bret 'The Hitman' Hart hit Ottawa this afternoon 9 December 2007 with some early-bird fans showing up at 6:30am to meet their hero. He only took the stage at 2pm. That's dedication!